This paper aims to measure the e-business adoption activities in Yemeni SMEs. The paper employed a mixed method (quantitative and qualitative) case approach. The results indicate that Yemeni SMEs are at the early stages of e-business adoption. Ahmed Abdullah, Lyndon Murphy, Brychan Thomas. "Measuring the E-Business activities of SMEs in Yemen." 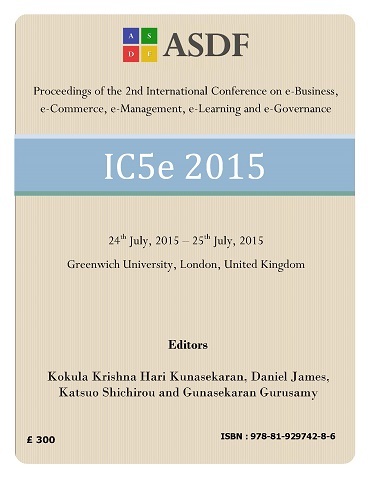 International Conference on eBusiness, eCommerce, eManagement, eLearning and eGovernance (2015): 122-127. Print.